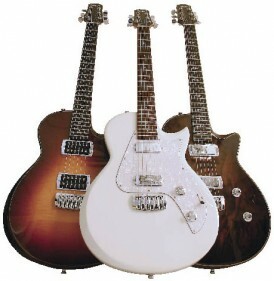 Before Taylor Guitars had their solidbody electric guitar breakthrough in 2007, the company has always been known and highly-regarded for their acoustic guitars, tone, and high quality. 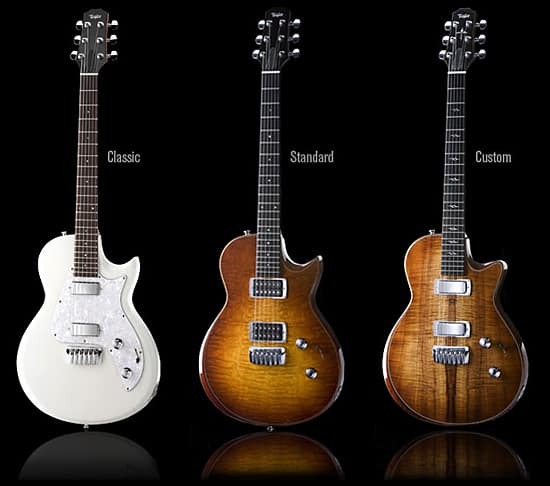 For Taylor to venture into solidbody electric guitars, they had rethink every aspect of design. They quickly realized the limitations of currently available parts could never meet its performance and aesthetic goals, Taylor decided to make all of their guitars’ parts in-house. With the revolutionary changes in technology, one might say Taylor has reinvented the electric guitar for the 21st century. 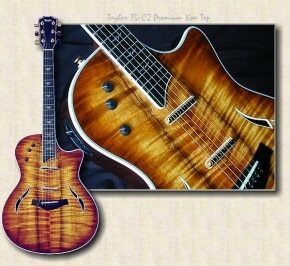 Lets take a look at three Taylor solidbody guitars: Classic, Standard and the Custom. When I viewed the guitars from the side, the neck appears to be set and glued… but after flipping the guitar over, it reveals a single recessed hexhead (T-Lock) that fastened the neck to the body. The neck joint reminds me of the construction used on Taylor’s T-5 hollowbody electric; the neck heel locks into the body with strict precision. You can see a special washer under the bolt that pulls the neck in and down when tightened. This innovative design makes these guitars one of the most precise and impressive bolt-on neck used on an electric guitar. The necks are sleek and the profile is relatively thin, with a smooth felt heel. Mahogany is used for the Standard and Custom’s neck, while the Classic uses maple wood. The fingerboard is ebony on the Standard and Custom, while maple is used on the Classic models. The single-cutaway bodies are complex and uniformly shaped, resulting in a more universally comfortable shape. The cutaway is designed to reduce left-hand deviation required to stretch your fingers across the frets. The back has a subtle curve, the edges have a slight contour all the way around, being most pronounced at the pointed on the Standard and Classic. The Custom has a more rounded curve at the cutaway. Even though Taylor lists these guitars as solidbody, only the Classic is actually a true solidbody. The Standard and Custom models are strategically chambered to shed weight and tonal balance. Standard and Custom models feature figured maple and walnut tops. It’s highly polished clear coat gives these two high-end beauties the desired look of old English furniture. Like all Taylor guitars, the attention to detail to their guitars are incredible. The innovated designed bridge is no exception. Machined from acoustically resonant aluminum feels remarkable under your hand because there are no visible screws or sharp edges to feel awkward against your hand. The adjustments are accessed through the underside of the body. Taylor’s pickups put the ‘T’ on Tone… and Tasty. The pickups translate tone with superb energy and clarity. Although the chrome covered pickups on the Classic and Custom look very different from the exposed coils on the standard, the performance is nearly identical in all aspects. Taylor put a lot of deliberation into how the five-way selector switch should function, so the selected coil combinations maintain a reasonably consistent level of output. The Custom and Standard models provide outstanding resonance and clear tone produced by the chambered bodies before the guitars where even plugged in–not surprising considering Taylor has been dedicated to acoustic guitar tones for almost 35 years. As we mentioned earlier, the Taylor Classic is an actual solidbody, which is noticeable in it’s less lively unplugged sound. However, plugged in, the solidbody, maple neck and their ingeniously designed pickups worked outstanding together to create a bursting attack and spirited sustain that meshed extremely well when ripping on off some riffs through overdrive. The chrome covered pickups remind me of a combination of vintage P.A.F.’s thick growl, P90’s crunchy bite and single-coil’s chimey -like overtones. Guitarists looking for the greatest level of quality and detail, rich tones, and an affluent overall response will probably opt for the Taylor Custom. Even though the guitar’s construction is similar to the Taylor Standard, the change of pickups adds a slightly brassy edge to each note providing the guitar with a more luminous tone. Taylor’s revolutionary design, innovated component and parts make these guitars appealing for any serious guitarists attracted to unique styling and demand quality. Cons: first and foremost, the prices are too high. Not practical for many players on a budget. Tremolo system is optional, but costs an additional $200ish, and the string tension is a bit stiff. You can find bargains online – Check for prices.